Commander James Milton joined the United States Power Squadrons in July of 2007 after completing the Boat SMART boating course where he earned his boating certificate. James quickly added to his education by completing Boat Handling in 2007 earning the grade of Seaman, and Marine Navigation in 2008 earning the grade of Pilot. Shortly after he would go on to complete Advanced Marine Navigation in 2010, earning the Grade of Advanced Pilot. After a brief hiatus, he completed Offshore Navigation in 2015 where he earned the grade of Junior Navigator. 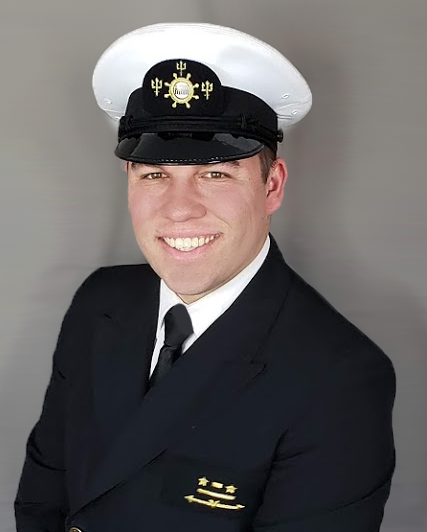 In addition to earning the Grade of Junior Navigator, he has completed courses on Cruise Planning, Engine Maintenance, and Electronic Navigation as well as 7 seminars. 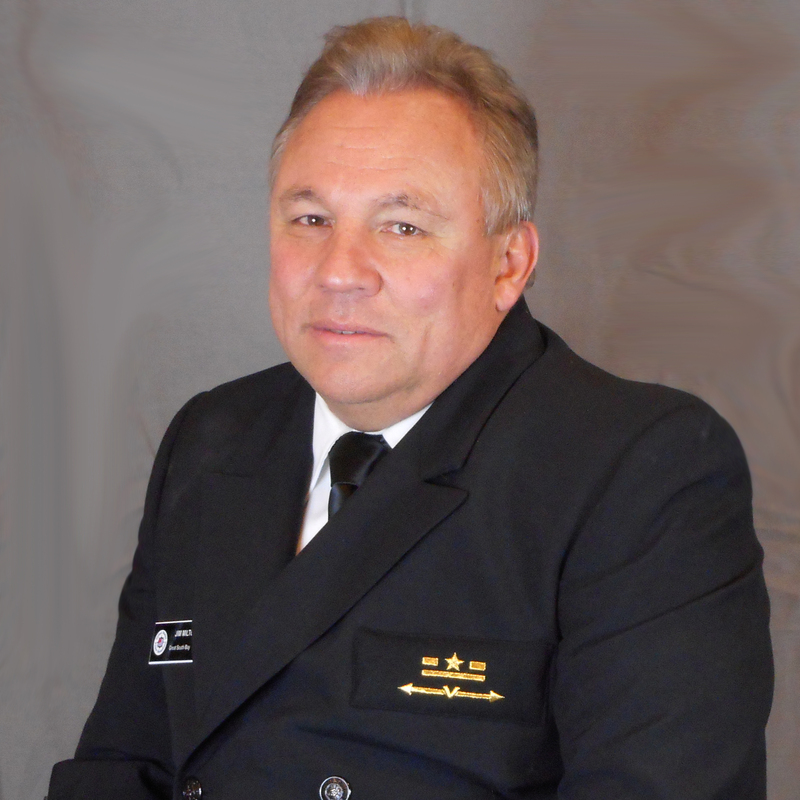 James is a Certified Vessel Examiner, and a NASBLA Certified Boating Instructor. James has been a member for 13 years and earned senior member status in 2011, and has earned a merit mark every year of his membership for his service. James founded the Squadron Emergency Response Team as Unit 8 in Great South Bay and has been the Captain/Chairman of the team since inception. He has earned the Life Saving Award from the United States Power Squadrons for his actions on July 27th 2017 when he saved the life two people one of whom was a child that were caught by the current when swimming behind their boat and were unable to make it back. He has served as Webmaster, Chairman of America’s Boating Course, Assistant Educational Officer, Squadron Educational Officer, District Color Guard, and Executive Officer before his election as Commander on January 25th, 2018. James keeps his boat ‘Moonlight Shadow’ in Bay Shore, and resides in East Islip. Lieutenant Commander Kathy Matheson joined the United States Power Squadrons in November of 2013. 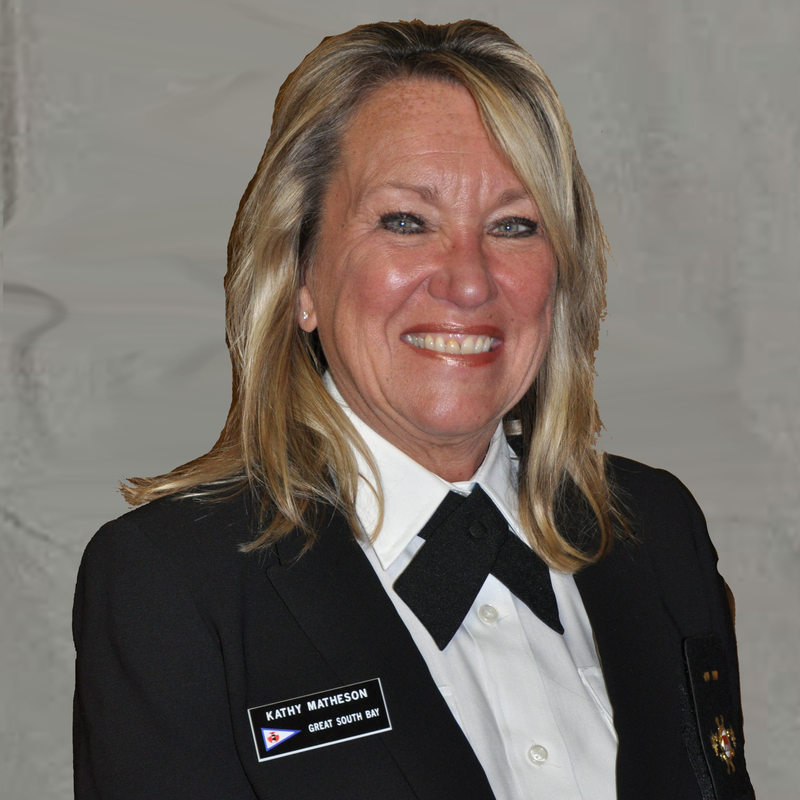 Kathy began expanding her education by completing Boat Handling in 2017 earning the grade of Seaman, and Marine Navigation in 2016 earning the grade of Pilot. As an elected Bridge Officer, the Executive Officer is responsible for the functions described as “external affairs”. 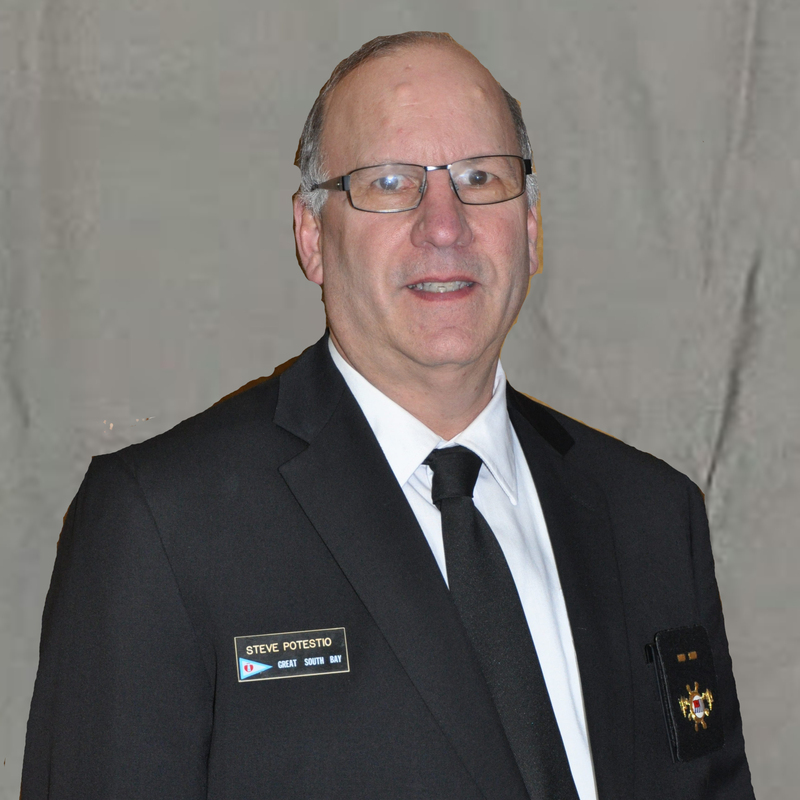 He oversees the committees for Boat Show, Cooperative Charting, Liaison Legislative, Public Relations, Radio Technical, Safety, and Vessel Safety Checks. The Executive Officer is a member, ex-officio, of all committees of the Executive Department and is responsible for seeing that they function properly in accordance with the policy and authority of USPS. In the absence or incapacity of the Commander, the Executive Officer assumes the duties of the Commander. Lieutenant Commander Diane Boland joined the United States Power Squadrons in June of 2013. 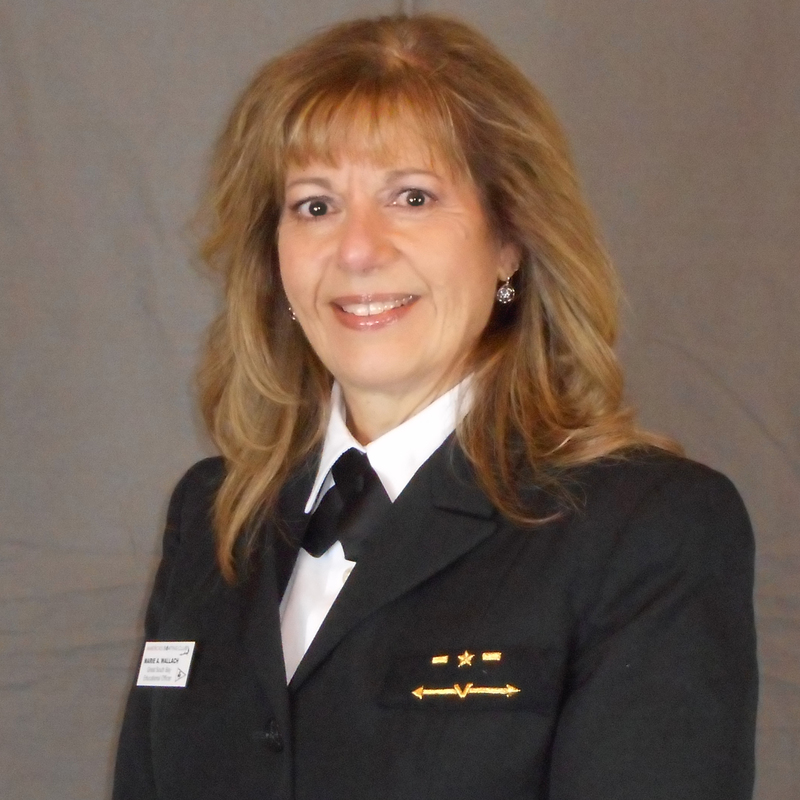 Diane quickly started her education by completing Boat Handling in 2013 earning the grade of Seaman. Before her election as Administrative Officer, Diane has held the position of Assistant Administrative Officer with a rank of 1st Lieutenant. Administrative Department and is responsible for seeing that they function properly and in agreement with policy and authority of USPS. Lieutenant Commander Marie Wallach joined the United States Power Squadrons in May of 2015. Marie was quickly taken by our educational department and began by completing Boat Handling in 2017 earning the grade of Seaman, and Marine Navigation in 2018 earning the grade of Pilot. In 2018 Marie also completed Advanced Marine Navigation and earned the grade of Advanced Pilot. In addition to advanced grades, Marie has completed 5 seminars. 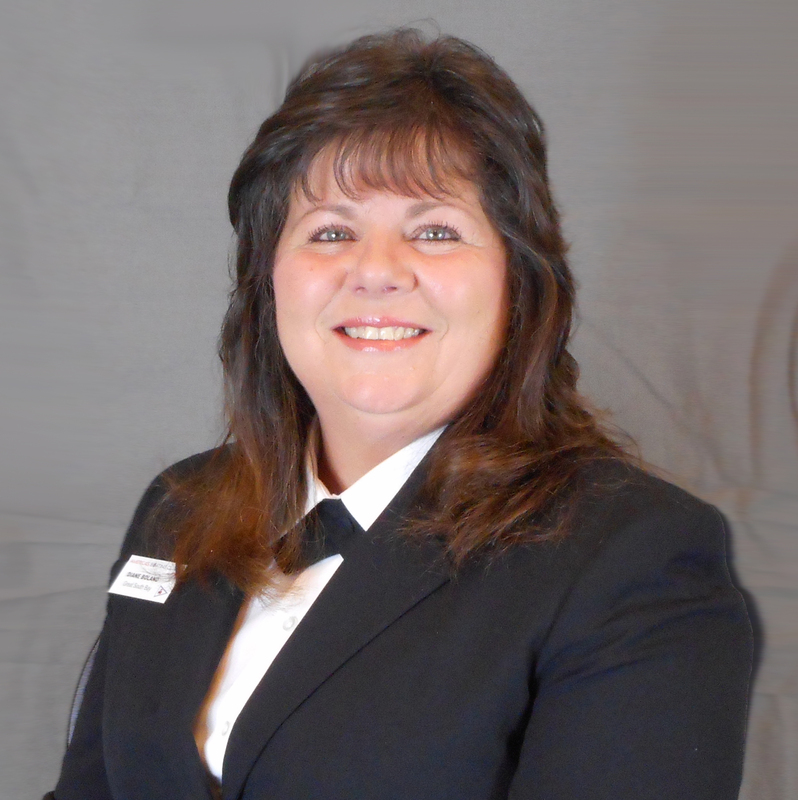 In Marie’s 4 years of membership, she has earned 2 merit marks for her service. The Educational Officer is elected annually by the members of the squadron upon nomination by the Squadron Nominating Committee and approval by the District Educational Officer acting for the National Educational Officer. He is a member of the District Educational Department, the Squadron Bridge and Squadron Executive Committee. The Educational Officer manages all of the educational activities of the squadron including public boating courses and the educational curriculum of the entire squadron membership. He encourages the membership to avail themselves of all the courses offered by the squadron. Lieutenant Commander Steven Potestio joined the United States Power Squadrons in March of 1996 after completing the Boat SMART boating course where he earned his boating certificate. Steven added to his education by completing Boat Handling in 1998 earning the grade of Seaman, and Marine Navigation in 1999 earning the grade of Pilot. In addition to earning the Grade of Advanced Pilot, he has completed courses on Engine Maintenance, and Electronic Navigation as well as 2 seminars. Steven has earned 22 merit marks for his service. As a Bridge Officer, the Treasurer is expected to attend all district conferences as a squadron Representative. The Treasurer should take Operations Training as soon as practical. The Treasurer is responsible for accurate financial reports and records for policy guidance for the solvent operation of the squadron. Lieutenant Commander James Milton joined the United States Power Squadrons in May of 1993 after completing the Boat SMART boating course where he earned his boating certificate. James quickly added to his education by completing Boat Handling earning the grade of Seaman, and Marine Navigation in 1994 earning the grade of Pilot. Shortly after he would go on to complete Advanced Marine Navigation in 1995, earning the Grade of Advanced Pilot. After a hiatus, he completed Offshore Navigation in 2017 where he earned the grade of Junior Navigator. In addition to earning the Grade of Junior Navigator, he has completed courses on Cruise Planning, Engine Maintenance, Marine Electronics, and Weather as well as 4 seminars. James is a NASBLA Certified Boating Instructor and Senior Member of U.S. Power Squadrons and has earned 24 Merit Marks for his service. As a Bridge Officer, the Secretarys duties are various but generally revolve around record keeping. The secretary is expected to keep the official squadron log of attendance of General, Executive and Special Meetings and maintain an up-to–date mailing list for meetings notices and squadron communications. He is expected to have custody of the official copy of the Squadron Bylaws and keep it up-to-date.